Before and After A Haircut, originally uploaded by Lukasmummy. 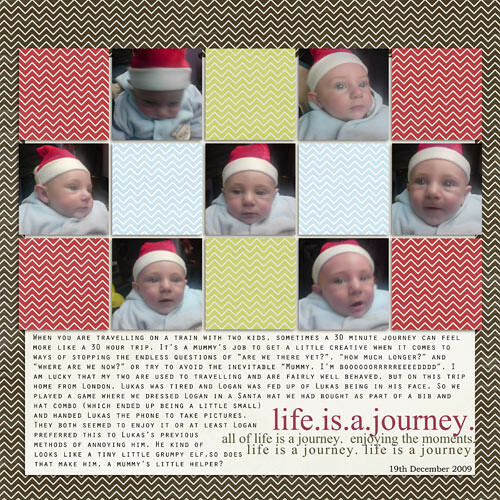 Credits: Layered template (December Moments Week 1, Template 4) by Crystal Livesay and 52 Inspirations 2011 Week Eighteen Mini by Vicki Stegall and 52 Inspirations 2011 The Basics by Sue Cummings and Vicki Stegall. Font is Century Gothic. Journalling reads: Why is it that you always seem to look like a different person when your hair has been cut. Your eyes look bigger and are a different shade of blue, your cheeks look rounder and your ears seem to stick out more. I have always said that you are so much more handsome when your hair is cut short, but I think maybe it’s just that when your hair is longer and thicker you look more grown up and I don’t like it I prefer to see my cheeky little monkey! Enabling: Template is now retired sorry, 52 Inspirations is a subscription based product by Vicki Stegall and Sue Cummings available exclusively at Oscraps here but if you want to pick up just the Week Eighteen Mini and 52 Inspirations 2011 The Basics you can do that here and here. New Mummy Moment, originally uploaded by Lukasmummy. Credits: Layered template (Copycat Challenge 0110) by Wendy W and 52 Inspirations 2011 Week Sixteen Mini by Vicki Stegall and 52 Inspirations 2011 The Basics by Sue Cummings and Vicki Stegall. Font is Century Gothic. Journalling reads: From the very first time that I saw those 2 lines on a pregnancy test, I was waiting for this moment. Holding my newborn baby in my arms basking in the glow of being a new mother. Only it never happened, Lukas was whisked away from us because he was not breathing, I didn’t even get to look at him until he was a few hours old, was a full week before I could touch him. I got to hold Leo very briefly when he was born but the air of total panic surrounding his birth made any special moment between us impossible. Then there was you, placed straight on to my chest in the ambulance, cuddled the entire way to the hospital and then handed to me for photographs and more snuggles in the hospital. Thank you for finally giving me the new mummy moment I had so desperately craved during all 4 of my other pregnancies. Enabling: Template was available as part of this challenge at Oscraps, 52 Inspirations is a subscription based product by Vicki Stegall and Sue Cummings available exclusively at Oscraps here but if you want to pick up just the Week Sixteen Mini and 52 Inspirations 2011 The Basics you can do that here and here. Logan The Elf, originally uploaded by Lukasmummy. Credits: Layered template (Simply Quick 32) by Sue Cummings, 52 Inspirations 2011 Week Twelve Mini by Vicki Stegall and 52 Inspirations 2011 The Basics by Sue Cummings and Vicki Stegall..
Fonts are Bookman Old Style and Orator Std. Journalling reads: When you are travelling on a train with two kids, sometimes a 30 minute journey can feel more like a 30 hour trip. It’s a mummy’s job to get a little creative when it comes to ways of stopping the endless questions of “are we there yet?”, “how much longer?” and “where are we now?” or try to avoid the inevitable “Mummy, I’m boooooorrrrreeeedddd”. I am lucky that my two are used to travelling and are fairly well behaved, but on this trip home from London, Lukas was tired and Logan was fed up of Lukas being in his face. So we played a game where we dressed Logan in a Santa hat we had bought as part of a bib and hat combo (which ended up being a little small) and handed Lukas the phone to take pictures. They both seemed to enjoy it or at least Logan preferred this to Lukas’s previous methods of annoying him. He kind of looks like a tiny little grumpy elf,so does that make him, a mummy’s little helper? Enabling: 52 Inspirations is a subscription based product by Vicki Stegall and Sue Cummings available exclusively at Oscraps here but if you want to pick up just the Simply Quick 32 Template, Week Twelve Mini and 52 Inspirations 2011 The Basics you can do that here, here and here. Photographing The Flowers, originally uploaded by Lukasmummy. Credits: Layered template (Simply Quick 31) by Sue Cummings and and 52 Inspirations 2011 Week Ten Mini by Vicki Stegall. Fonts are Pea Times New Camileon by Amanda Bottoms (Fonts For Peas) and Park Avenue BT. Journalling at the top reads: I used to drive Mark insane whenever we took Lukas to feed the ducks, I would stop every time I saw a pretty flower and take photos. He could never understand what the purpose was of any of these photos. I could never find the words to explain to him that I simply appreciated the beauty of them and I felt compelled to capture all that beauty forever in a photograph., it just made me happy to be able to see it whenever I wanted to. Cutteslowe Park, 1st July 2006. Verse in the centre reads: Many times I wander, Afraid of things to come Seeing things that aren’t really love; Like the things that I have done. Then I see a single flower, Simple bright and alive, And if it grows for a reason; Then maybe so do I. What gives life to the flower, What makes each petal bloom and grow. Is it God that gives the power, For me to really want to know. How I wish I was a flower, Living in life, the life he gave for free Maybe I one of His flower, Because I care the same for me, poem written by Levitha Flowers. 52 Inspirations is a subscription based product by Vicki Stegall and Sue Cummings available exclusively at Oscraps here but if you want to pick up just the Simply Quick 31 Template, Week Ten Mini and 52 Inspirations 2011 The Basics you can do that here, here and here. Love Sweet Love, originally uploaded by Lukasmummy. Credits: Layered template (Photocentric 2, Template 11) by Crystal Livesay and 52 Inspirations 2011 Week Seven Mini by Sue Cummings and 52 Inspirations 2011 The Basics by Sue Cummings and Vicki Stegall. Enabling: Template is now retired sorry, 52 Inspirations is a subscription based product by Vicki Stegall and Sue Cummings available exclusively at Oscraps here but if you want to pick up just the Week Seven Mini and 52 Inspirations 2011 The Basics you can do that here and here. Ambrose, originally uploaded by Lukasmummy. Credits: Layered template (Press Plate No 20, Left Hand Side Template) by Liz Tamanaha (Paislee Press), 52 Inspirations 2011 Week Six Mini by Vicki Stegall and 52 Inspirations 2011 The Basics by Sue Cummings and Vicki Stegall. 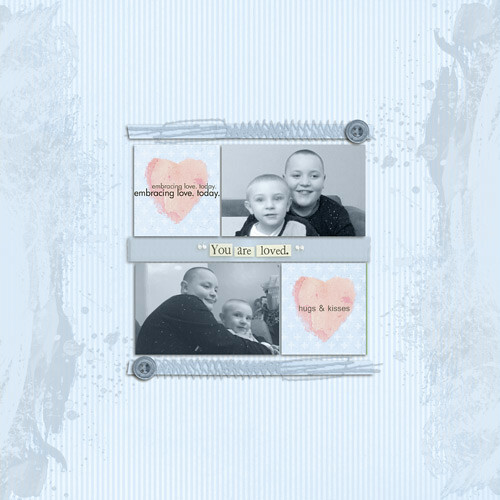 Fonts are DJB Kenna Script and DJB Amber both by Darcy Baldwin. Journalling reads: The other night as I was writing my belated blog post to Gaiebraille, I started thinking about a lot of things I was typing it and my thoughts wondered to you. Sometimes I feel like you got a pretty raw deal of it. When I found out that I was pregnant with you, I was already so hurt, so damaged, an emotional train wreck really. I laid all of my hopes and dreams on you, even though my brain screamed at me to be cautious and not get too attached to you, my heart is still an idiot and foolishly I allowed myself to indulge in my fantasies of a happy ever after with you. But I was never truly naive enough to do more than vaguely hope that it would all work out, so when it went wrong I admit it, I was almost relieved that it was over. It was never because I didn’t love you as much, I was just too scared to love someone so much again and risk having my heart re broken. Gaiebraille was my first, that cut was deep and slow to heal, frequently reopening and having to begin healing all over again. Leo was more like a cannon ball, shattering my heart into a million tiny pieces. I didn’t know where to start in the rebuilding process, my attempts were clumsy and everything frequently fell to pieces again. But you, well you were kind of like the universes equivalent of kicking a dog when it’s down. Cruel and unnecessary, but also kind of irrelevant, when something is already in so much pain and anguish what harm can one more blow cause? I was kind of numb to it all back then, unable to process all of the emotions that accompanied losing yet another baby. I can’t begin to tell you how sorry I am that I acted like you were just another lost baby, you were unique and special and you deserved so much more than I was able to give at the time. The problem to me was very simple, I knew I loved all of you equally so I couldn’t understand why I was incapable of grieving for you just as equally. I couldn’t comprehend just simply being too broken emotionally to process any of what I was feeling. I will never be able to find the words to express how guilty I feel for that, so I will just keep it simple, with 1 kiss and hug for each year since I lost you, I love you my sweet angel baby and I always will. 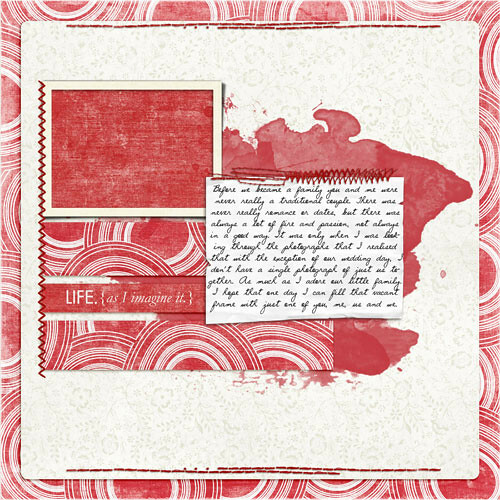 Enabling: Press Plate 20 by Paislee Press is available here, 52 Inspirations is a subscription based product by Vicki Stegall and Sue Cummings available exclusively at Oscraps here but if you want to pick up just the Week Six Mini and 52 Inspirations 2011 The Basics you can do that here and here. Cuddle Time, originally uploaded by Lukasmummy. Credits: Layered template (Photocentric 2, Template 20) by Emily Powers (RETIRED) and 52 Inspirations 2011 Week Five Mini by Sue Cummings and 52 Inspirations 2011 The Basics by Sue Cummings and Vicki Stegall. Font is 4990810. 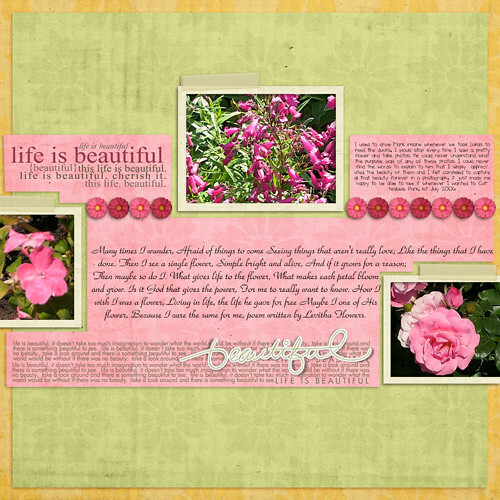 Enabling: Template is now retired sorry, 52 Inspirations is a subscription based product by Vicki Stegall and Sue Cummings available exclusively at Oscraps here but if you want to pick up just the Week Five Mini and 52 Inspirations 2011 The Basics you can do that here and here. Logan’s First Trip Down The Slide, originally uploaded by Lukasmummy. Credits: Layered template (Timestop Templates The Singles, Number 6) by Molly Weight (Biograffiti) and 52 Inspirations 2011 Week Two Mini by Vicki Stegall and 52 Inspirations 2011 The Basics by Sue Cummings and Vicki Stegall. 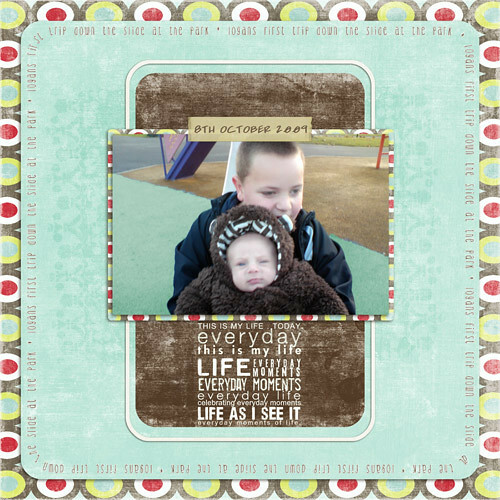 Fonts are DJB Coffeeshoppe Tallskinny Extended and DJB Arcitekt both by Darcy Baldwin. 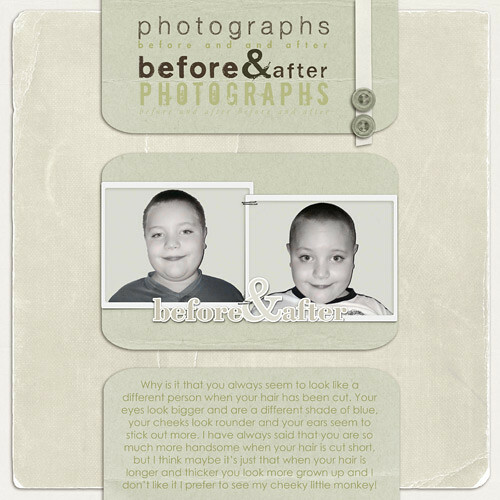 Enabling: Template is now retired sorry, 52 Inspirations is a subscription based product by Vicki Stegall and Sue Cummings available exclusively at Oscraps here but if you want to pick up just the Week Two Mini and 52 Inspirations 2011 The Basics you can do that here and here. 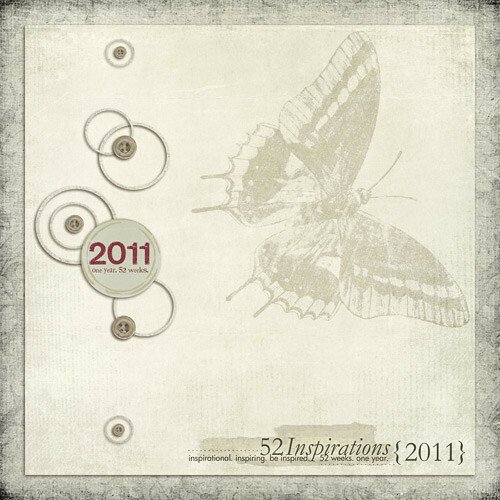 52 Inspirations Cover, originally uploaded by Lukasmummy. Credits: Layered template (Jumpers, Template 1) by Crystal Livesay and 52 Inspirations 2011 Week One Mini by Sue Cummings and 52 Inspirations 2011 The Basics by Sue Cummings and Vicki Stegall. Enabling: Template is now retired sorry, 52 Inspirations is a subscription based product by Vicki Stegall and Sue Cummings available exclusively at Oscraps here but if you want to pick up just the Week One Mini or 52 Inspirations 2011 The Basics you can do that here and here.